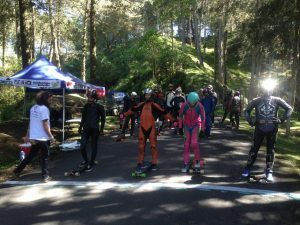 The first ever internationally sanctioned race in Costa Rica and Central America began with a sunny day, with the Abec 11 La Lucha DH WQS kicking off the South American Tour. 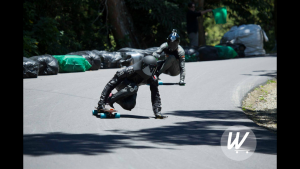 Riders with the caliber of Douglas Dalua, Max Wippermann and Nicolas Desmarais are set to battle it out with strong local riders like Brian Sandoval and Javier Arce. The track is 1.6 km long and features a bunch of fast sweepers with some rough patches that could send you off the road. 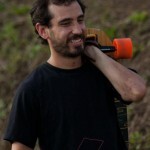 The hill is within a tourist action sports / factory compound in the forests of Cost Rica. We had a 6am breakfast of Gallo Pinto, Costa Rica's typical dish, and local coffee to start the day. 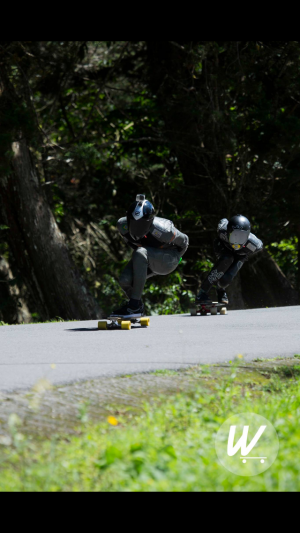 Riders were timid as things kicked off, but with around eight runs before lunch it wasn't long before people were charging. Storms were brewing and it rained on and off during the second half of practice day. A fast corner during the race.